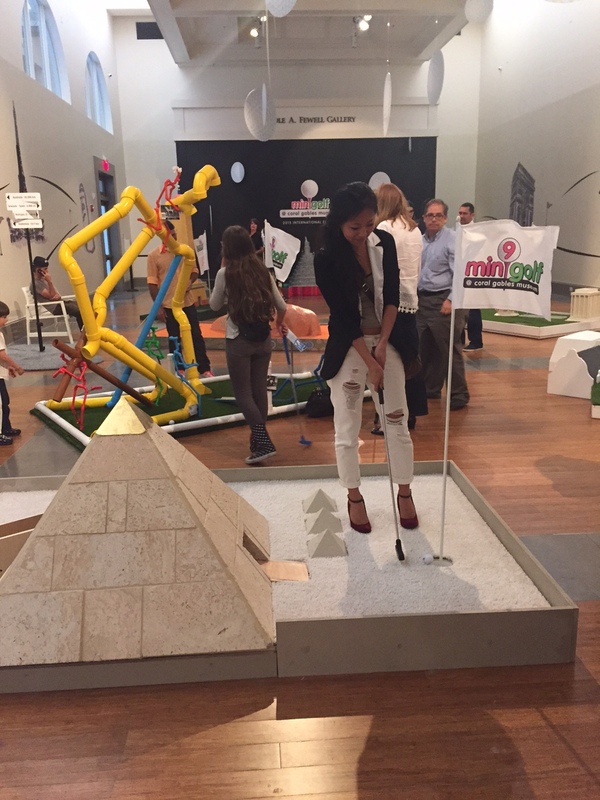 MINI GOLF, 2015: Each year the Coral Gables Museum solicits local architecture offices to enter a competition to design a mini-golf hole for a yearly event. 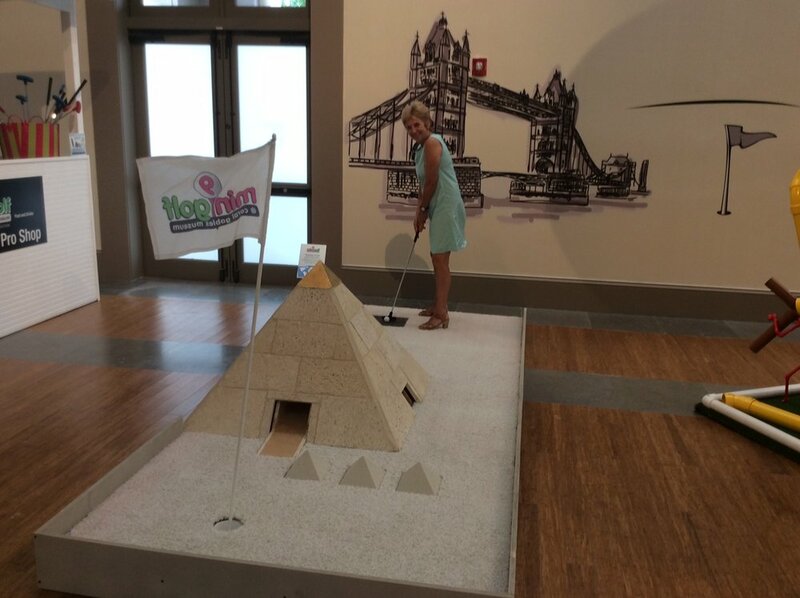 Our entry features the architecturally ubiquitous form, the pyramid. 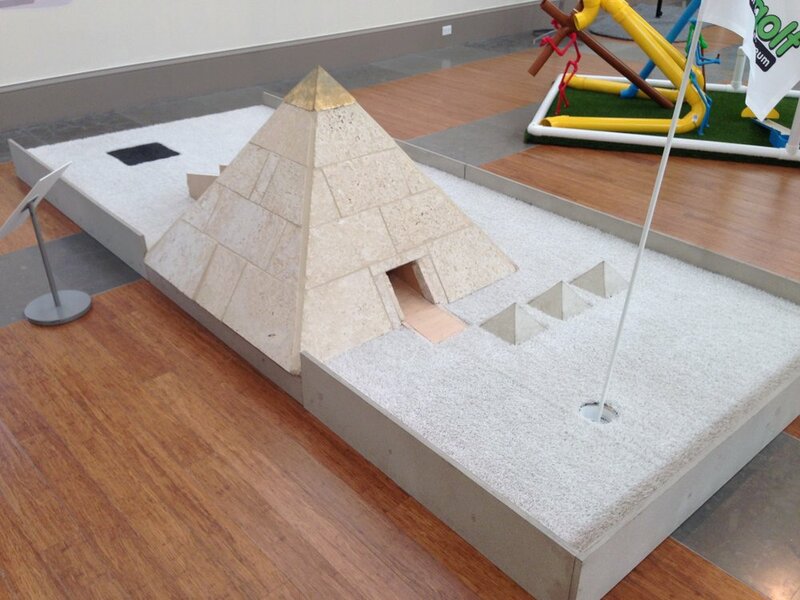 Internally, the golf pyramid, like its Egyptian predecessor, has an internal chamber rising through it. The chamber in our case rises to the center of the form and then drops down to a tilted platform that receives the golf ball and sends it either rolling towards the hole, or off to the side for a difficult second putt. The structure of the pyramid is plywood. The exterior surface is keystone cladding. Design Team: Steven Fett, Wyn Bradley, Tina Zeng and Owen Berry.